Back in high school and college, I was really into drawing and cross-stitch. 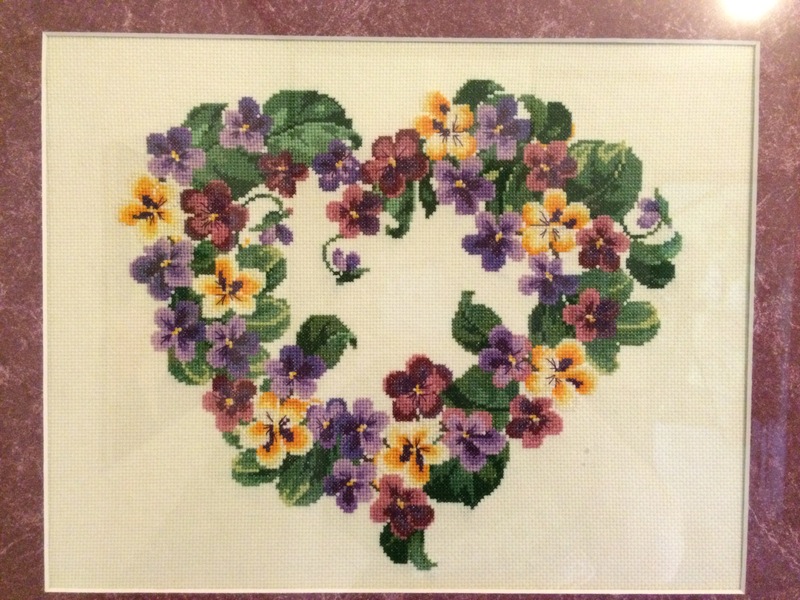 I dabbled in painting, tie dye, etc., but pencil drawing and cross-stitch were my favorites. Visiting my parents, there are plenty of examples- here are some! 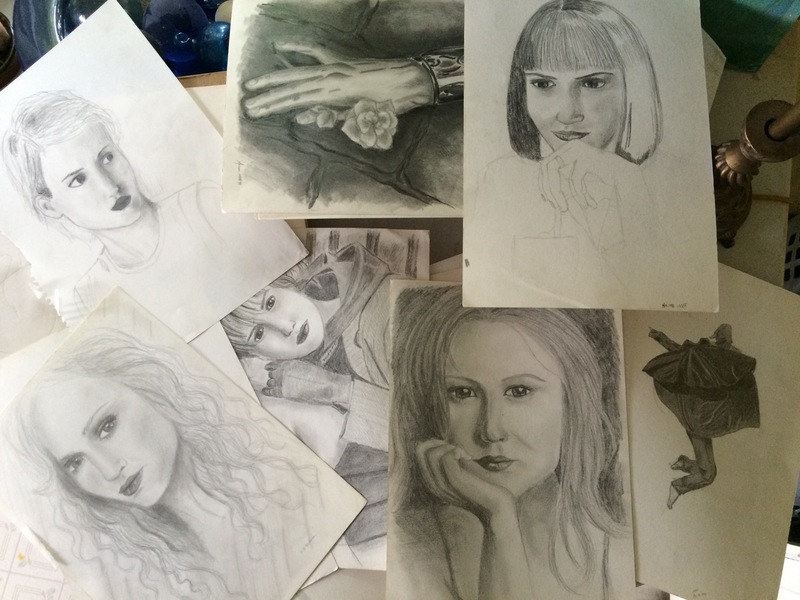 some of my drawings from college- i was rarely without my sketchbooks! 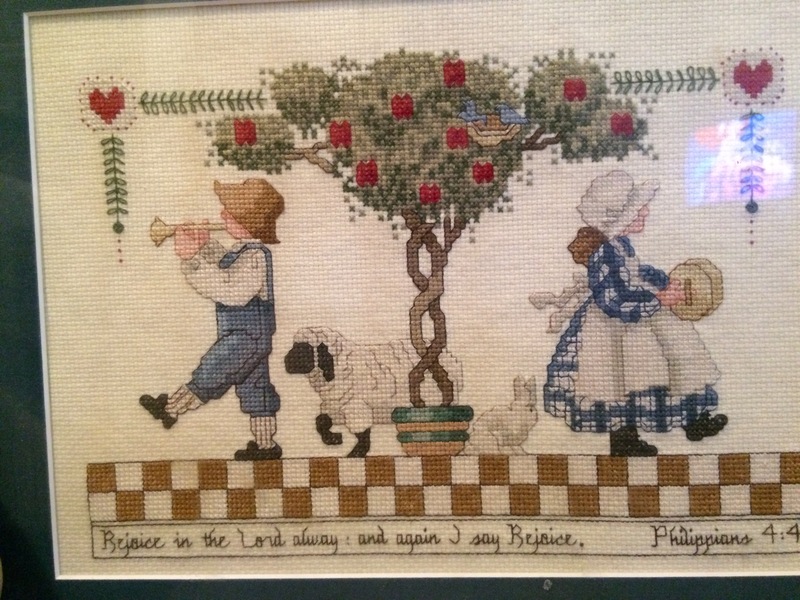 cross-stitch- this one earned me a grand champion ribbon at the county fair! 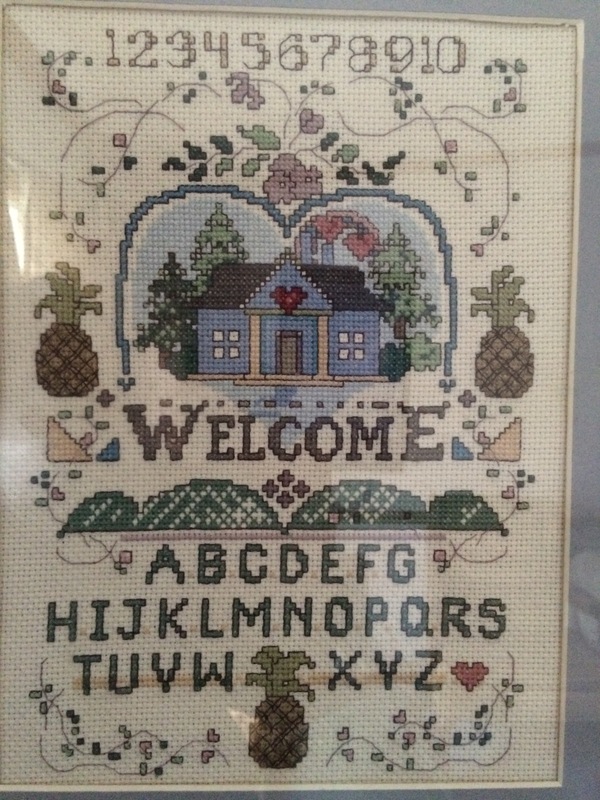 cross-stitch samer, maybe from college? 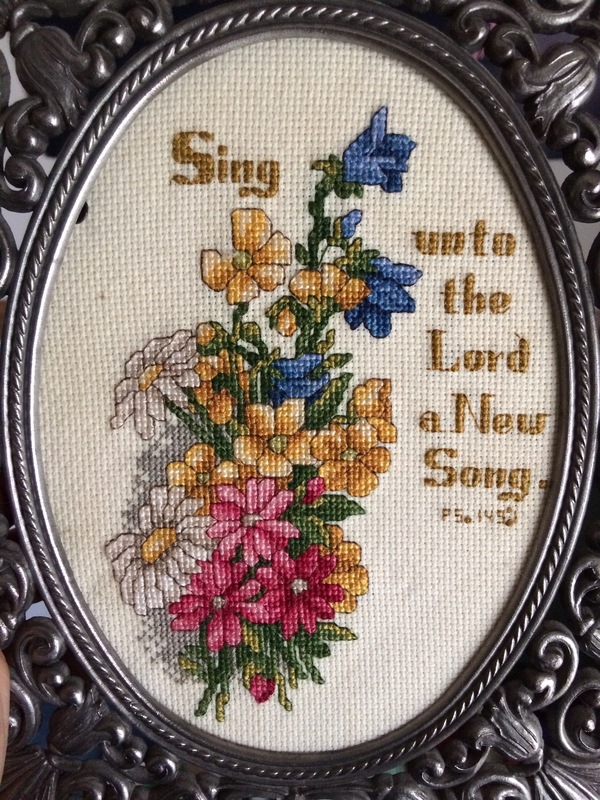 i made this for my dad, who was in a gospel quartet and also sang solos at church. 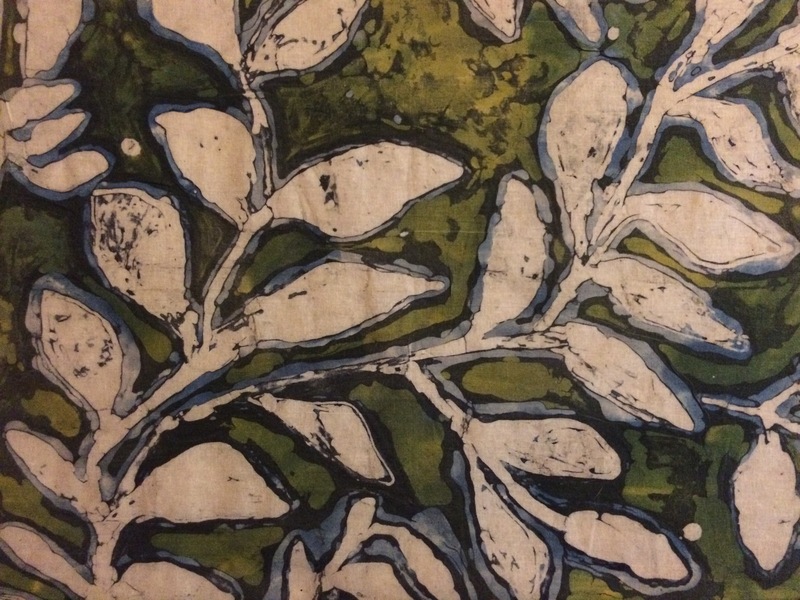 i think this was my first big project- 8th grade. 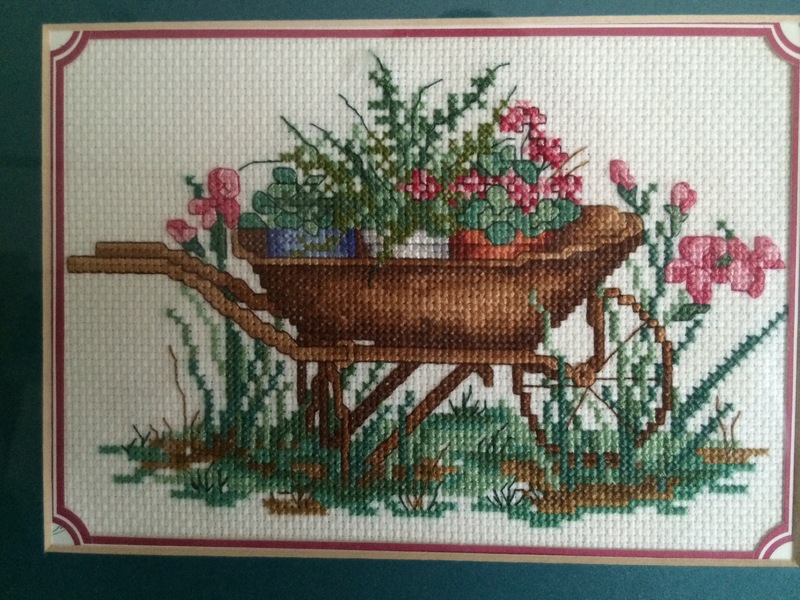 i made this one for my grandparents, who loved gardening! 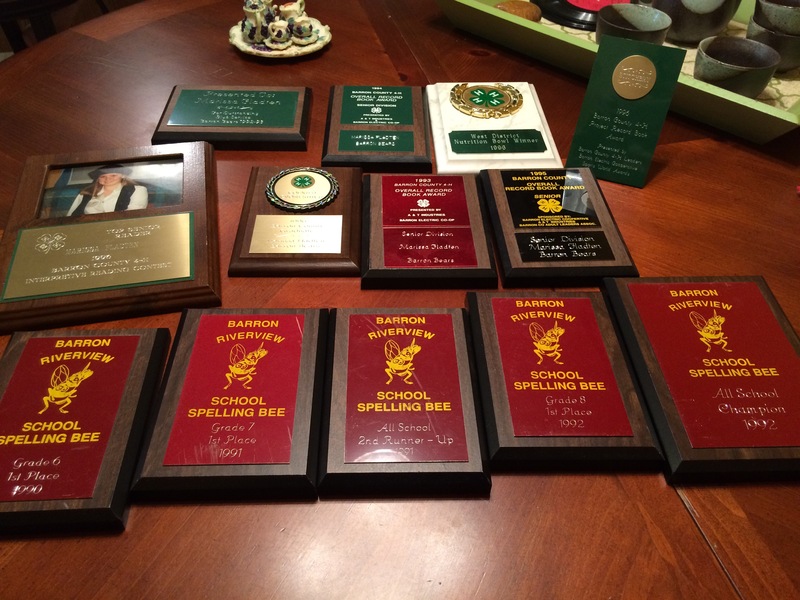 I also enjoyed, then purged, lots of awards and mementos from 4-H, FHA, Forensics, French speaking contests, spelling bees, cheerleading, etc! 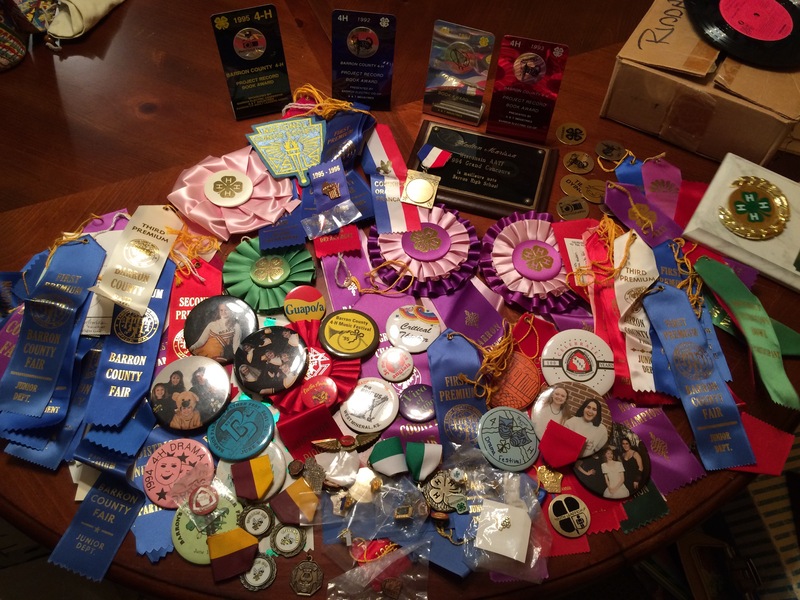 i had no idea how many ribbons and pins i had! 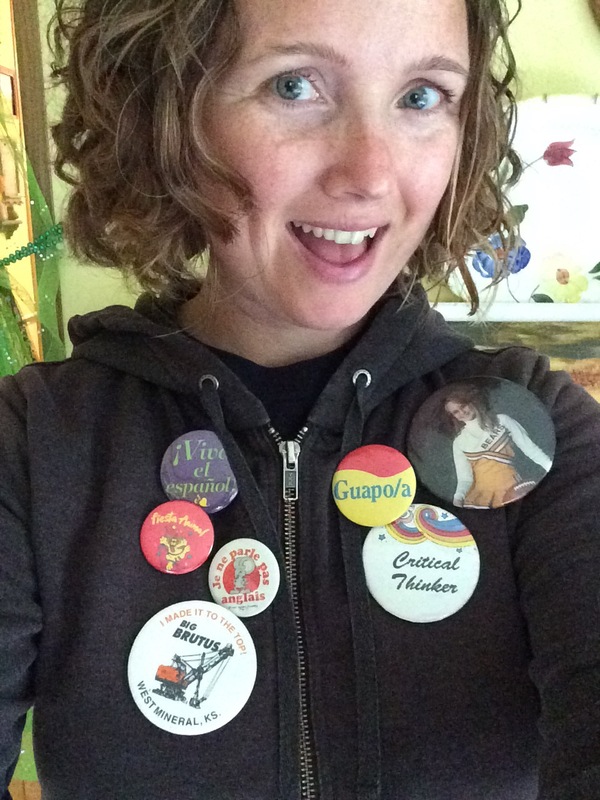 some of my favorite pins. Ahhhh the nostalgia. Thanks to Mari Kondo, though, I had little trouble throwing a lot away, giving my parents back some precious storage space! No regrets!